Since its foundation in 1999 Needham Haddrell has provided a consistently high quality of service to the mobile phone industry and our directors have between them over 30 years of experience in the field. Our work covers a wide variety of services including site finding and acquisition for a range of installations such as rooftops, masts and street furniture. 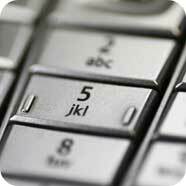 We also provide cell site management that includes negotiating rent reviews and lease renewals. In addition, we provide advice on planning issues and can assist with resolving disputes. Our specialist service has led to instructions from all the major UK telecommunications and broadcast operators and the areas we cover include the South of England, the Midlands and Wales. Needham Haddrell is committed to assisting operators in providing the public with the best possible network coverage. For more information on the services we provide please follow the appropriate links.